This month we are exploring how to care for and conserve our environment. 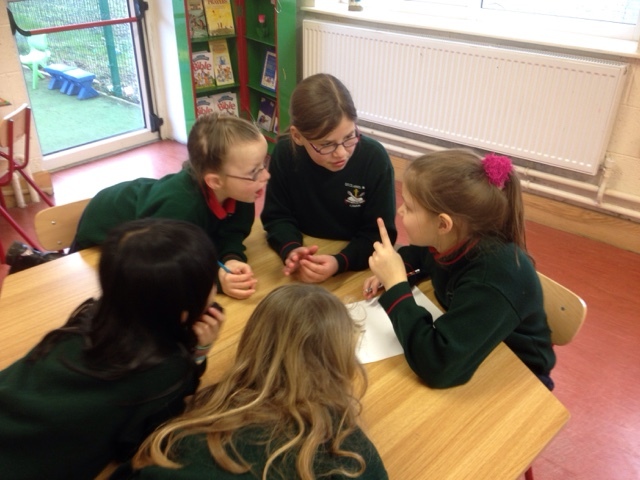 Today the children worked in groups to discuss ways we can look after our environment. 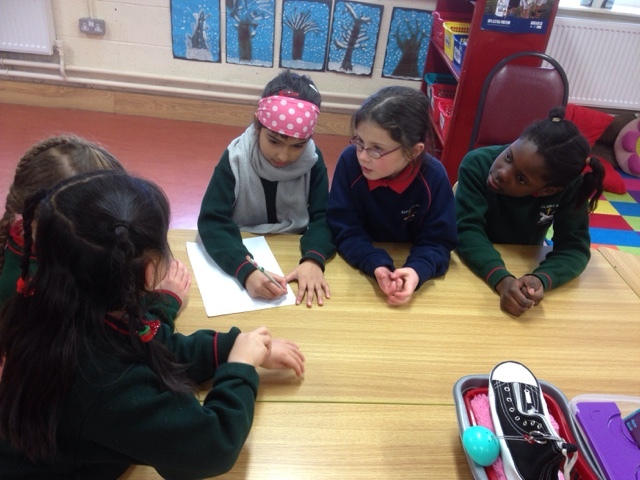 They came up with loads of ideas, including: turning off the lights and tv to conserve electricity, closing doors to keep the heat in, recycling, turning off taps to conserve water, carpooling and many, many more! 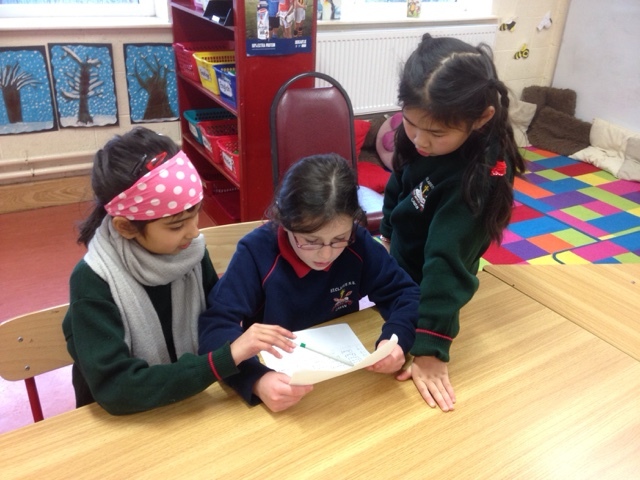 Once the recorder wrote down all the information, a presenter from each group read out their information to the rest of the class and to a very impressed teacher! 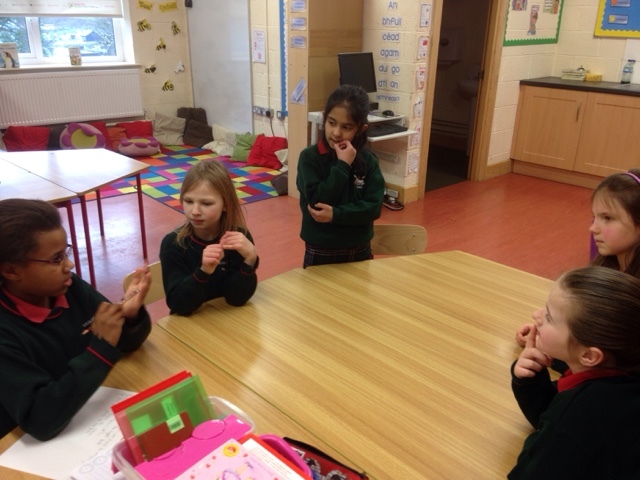 Check out the girls mid discussion below! Preparing the presenter for her big moment!